Finished with a reactive glaze, the Venice table lamp by Heathfield & Co is inspired by the fluidity of water. Aqua colour tones and bronze detailing feature throughout the rippled shape adding a unique pattern to the design. 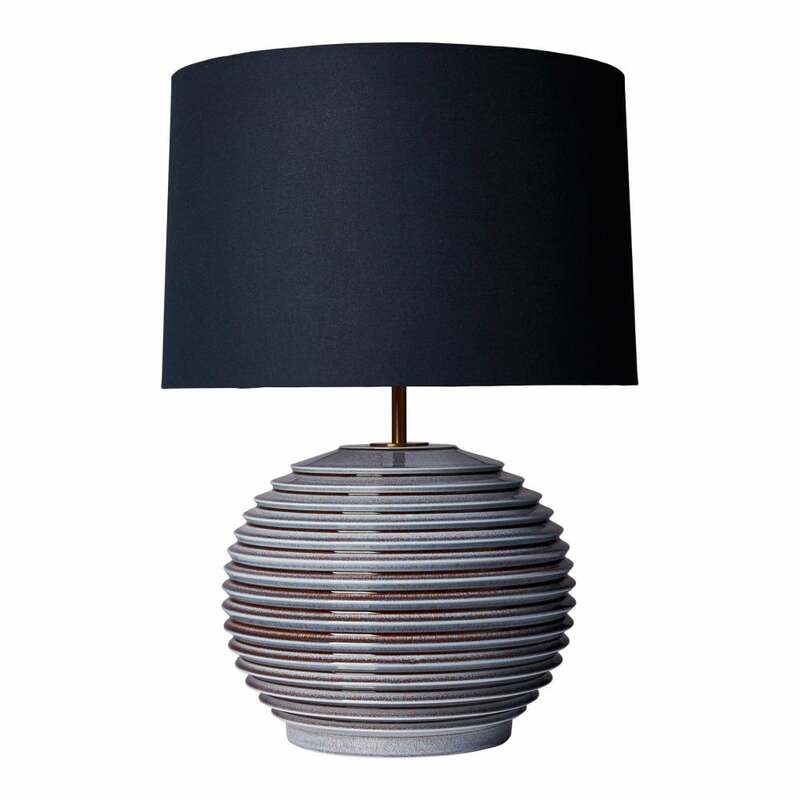 Style this table lamp with with on-trend metallics and deep, dark colour tones. Alternatively, pair with bright whites and pale wood for a glamorous take on the nautical scheme. Shades are available in a variety of luxury colours and materials. Shown here, the blue base looks striking when combined with a dark navy shade. Priced for 16" Roman Drum shade in silk with white PVC lining. Please contact us for other options.